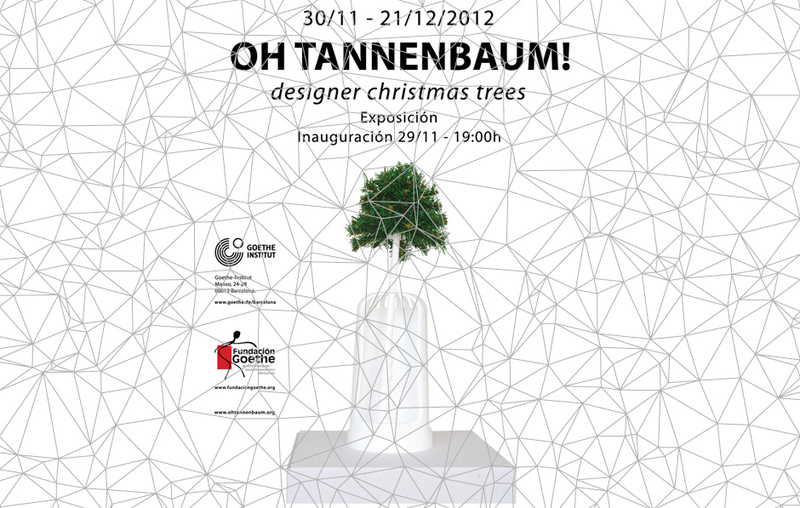 A reinterpretation of the beloved Christmas tree for the “OH TANNENBAUM!” exhibition at Goethe-Institut Barcelona from November 30 to December 21 2012. 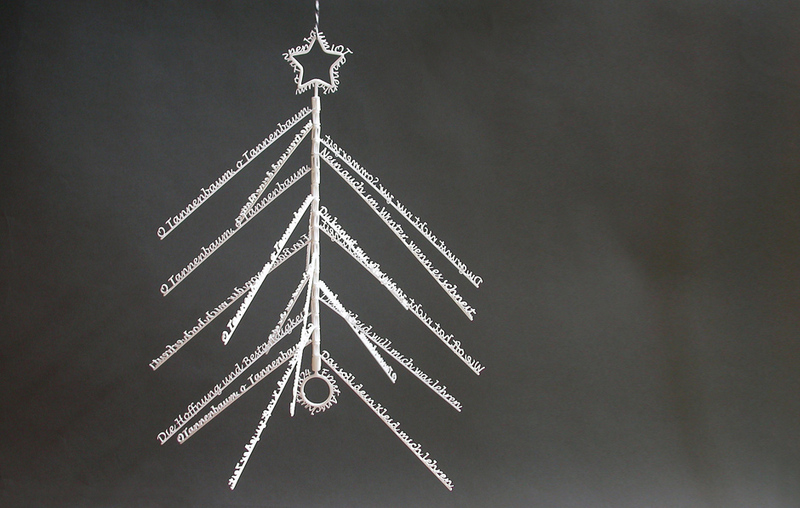 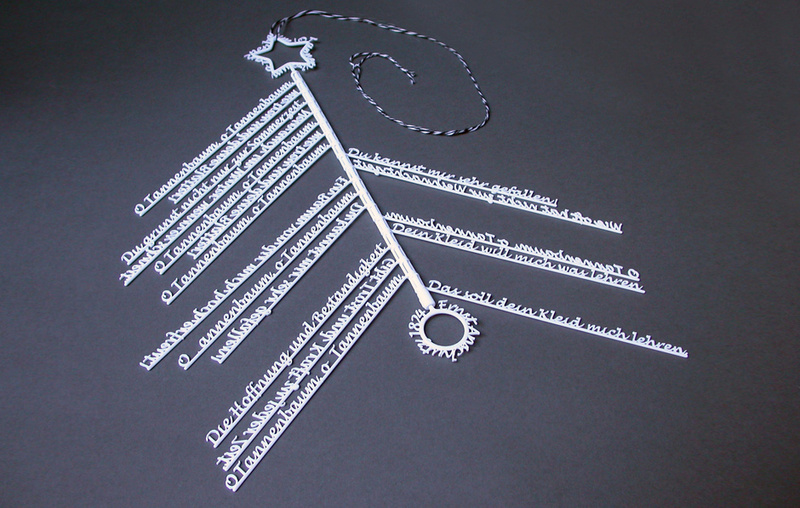 A hanging mobile where each branch with its poem’s phrase turns around the central axis and in the same way, all branches spread out to form a 3D tree. 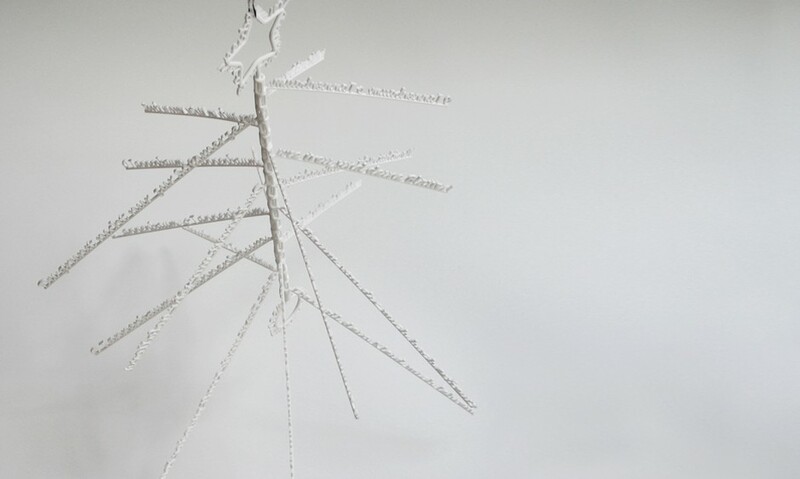 The object is presented folded and when you hang it, you could play with the branches turning in 360 degrees to customize it, as you like it. 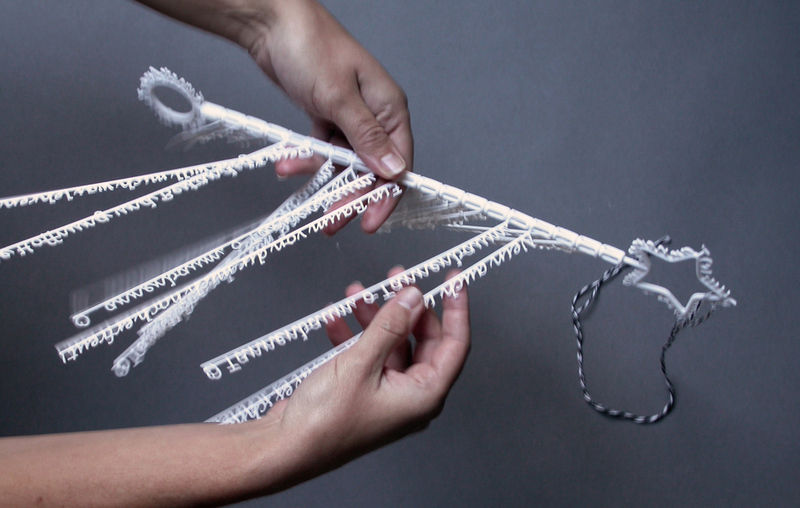 From 2D to 3D. 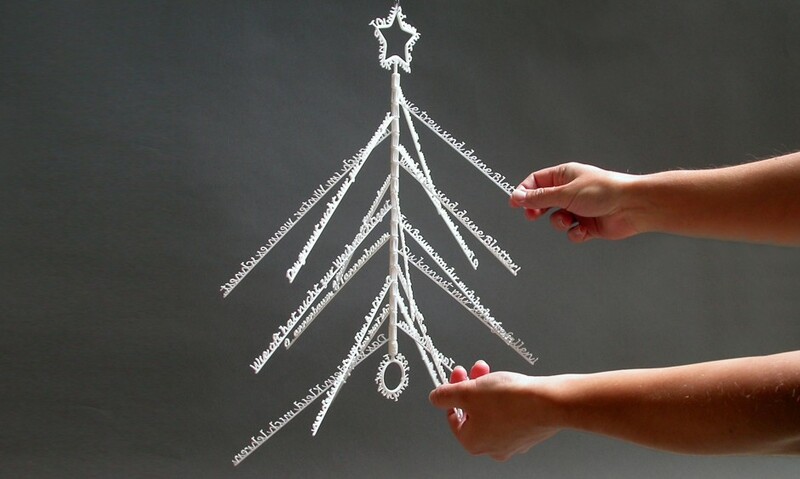 Your 3D “O Tannenbaum” song, to learn, teach and share with all your family, and to decorate your home on Christmas time,… enjoy it!! 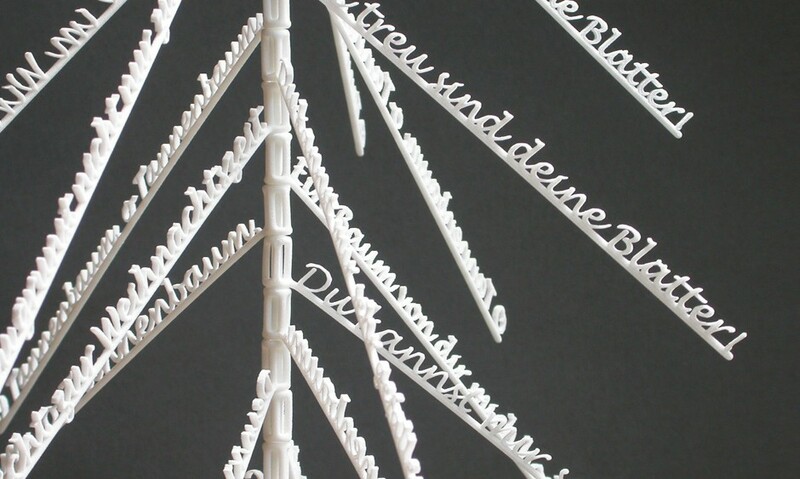 We begin from the idea of creating a calligram from the “O Tannenbaum” melody; composed by Ernst Anschütz in 1824. 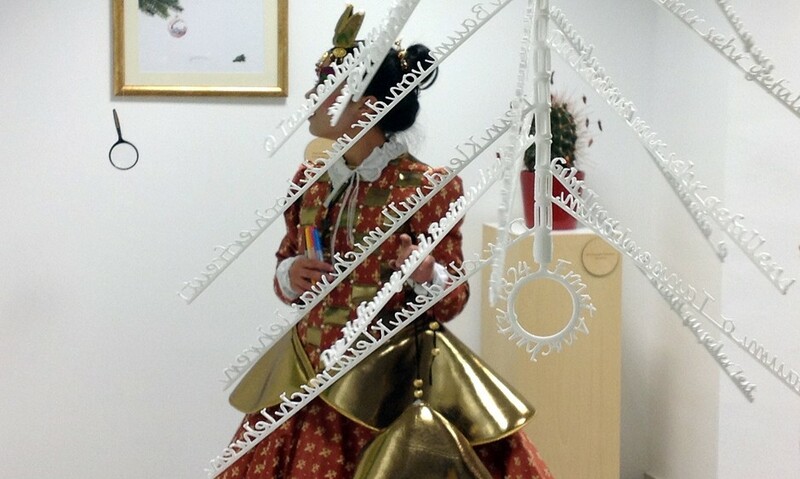 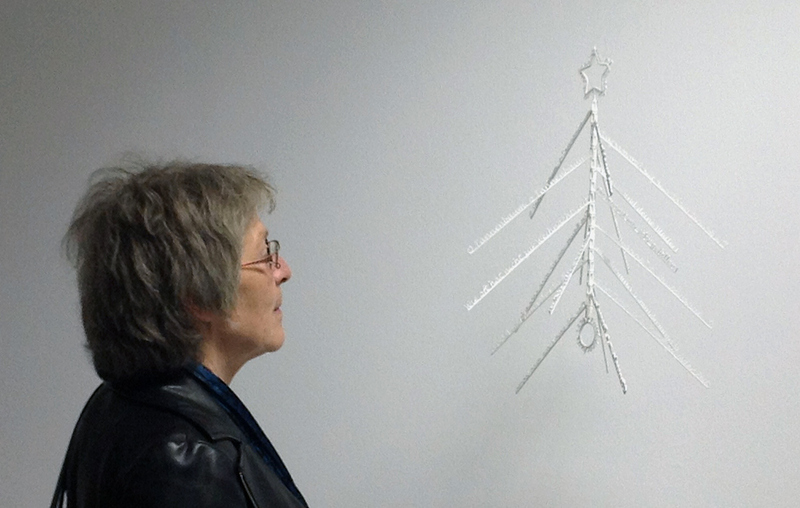 The shape of Christmas tree expresses and converts a visual poem in a tangible 3D object. 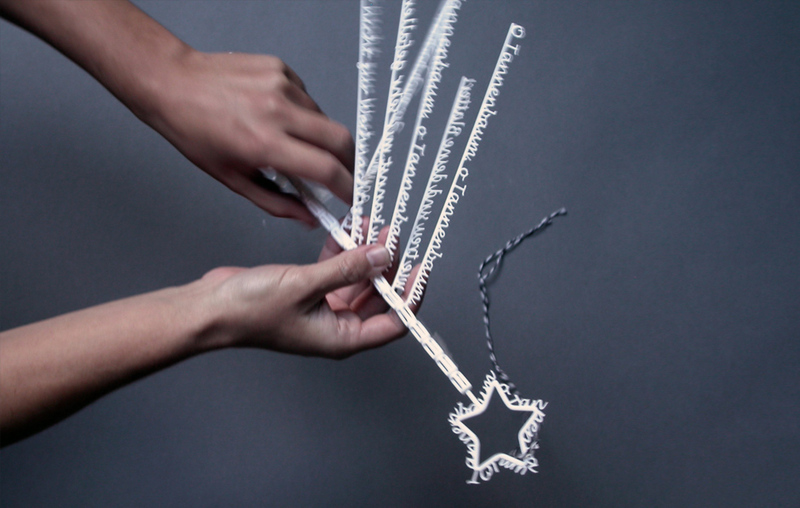 A design through Direct Digital Manufacturing, from 3D model data to the materialization of the object. 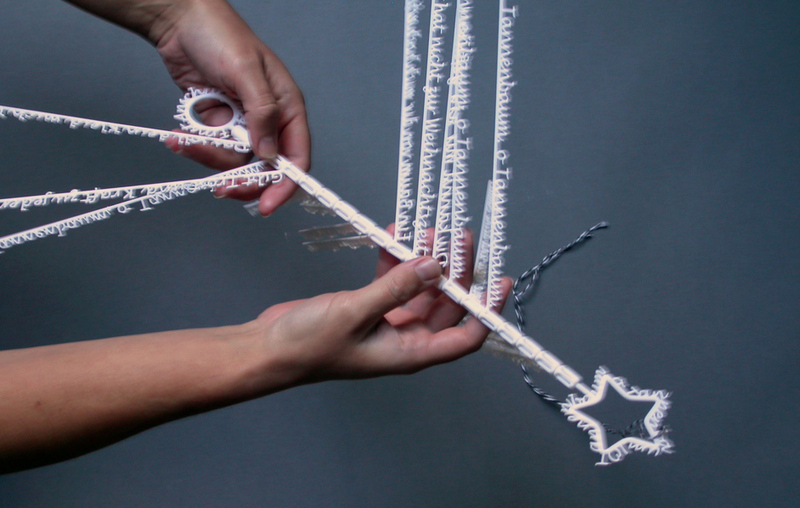 When the object is printed, it works! 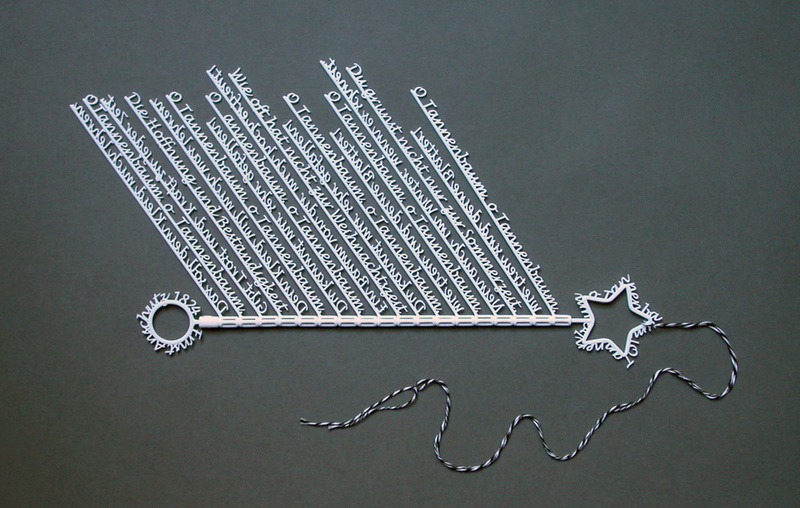 Not assembly needed.